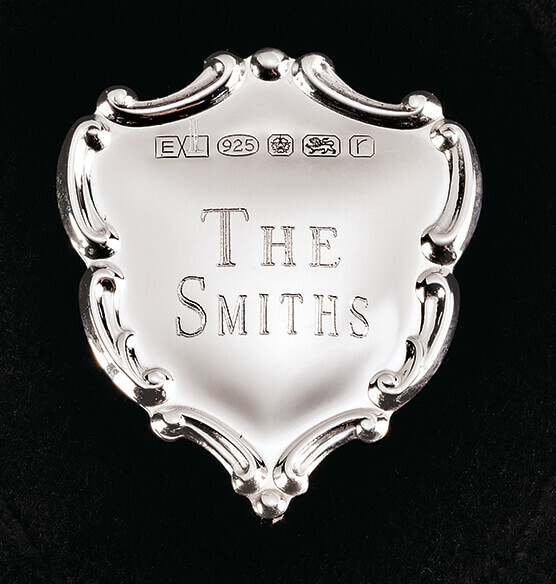 Personalized silver ornaments from Carrs of England help make the holiday season special. The 2018 Carrs sterling silver Victorian ornament is a work of great craftsmanship. 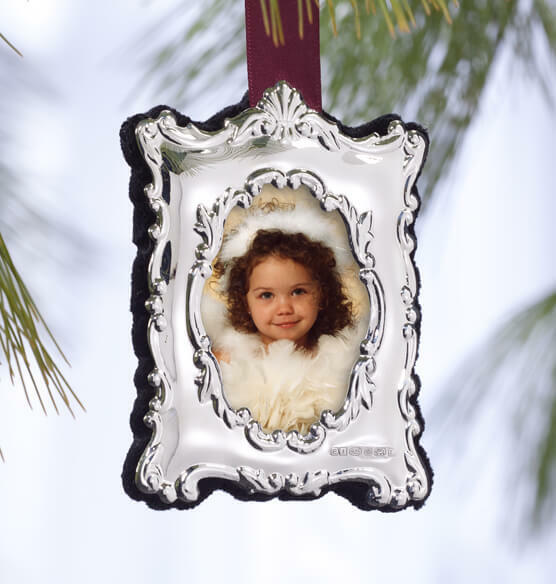 Gorgeous detailing highlights a single 3 1/4" x 2 1/2” photo of your choice. The frame hangs from a dark burgundy ribbon and the velvet backing keeps the photo secured. Comes with a beautiful presentation box. Personalize the engravable plaque with any text (2 lines, 8 characters per line) or choose no personalization. I love these ornaments! They are so beautiful on my Christmas tree... not to mention the pictures of my family that I put in them :) It's wonderful to look at the ones from previous years. I get a dated one every year. is the 2017 year on the back of the ornament? BEST ANSWER: Thank you for your question. The year is no longer printed on the back. We hope this information will be of help to you. Is this the ornament that has the plaque on the back with 2017? BEST ANSWER: Thank you for your question. It is the same item as previous years, however, you can choose to not personalize it or personalize it differently than just the year. We hope this information will be of help to you.